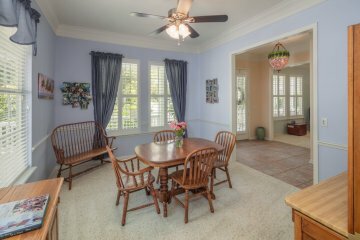 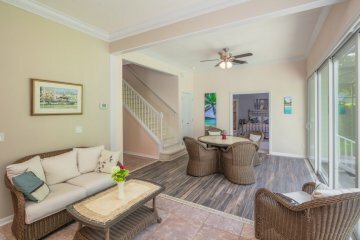 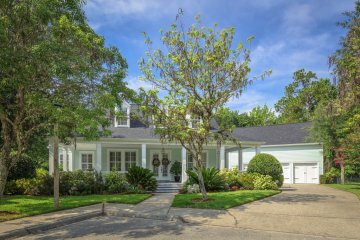 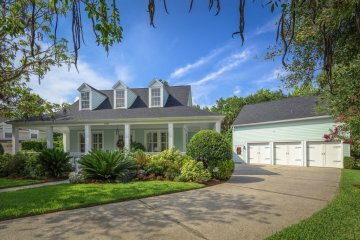 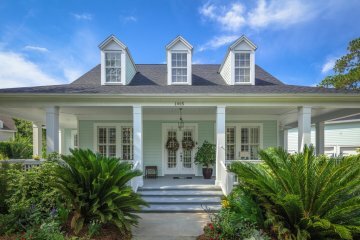 You’ll love this Charming Coastal style home overlooking the preserve. 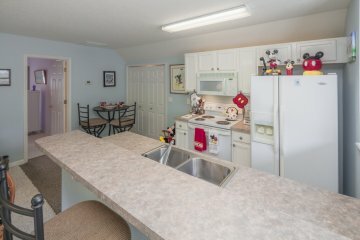 Rare opportunity to own this home on an Oversized Cul-de-sac LOT! 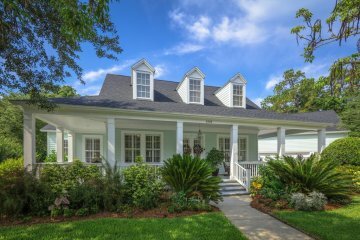 This beautiful 4 bedrooms, 3 bath home with spacious wrap around porch has a panoramic views of the preserve. 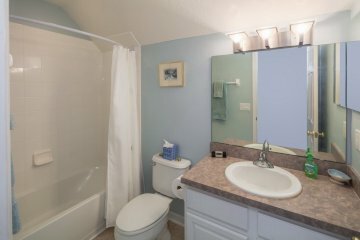 Very private ! 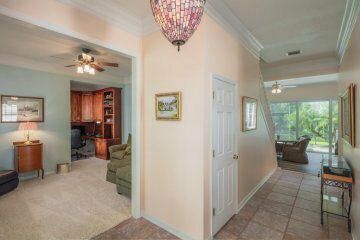 Large foyer upon entry and lots of windows with crown molding throughout. 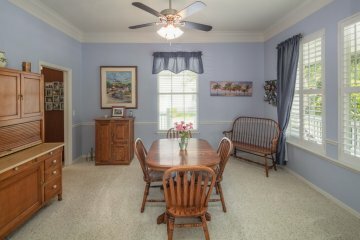 Tray ceiling in formal dining room and exquisite built ins in den/office. 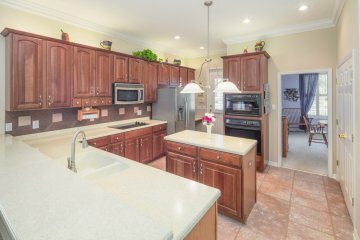 Kitchen with elegant cherry 42” cabinets, tile backsplash, built in desk and stainless steel appliances. 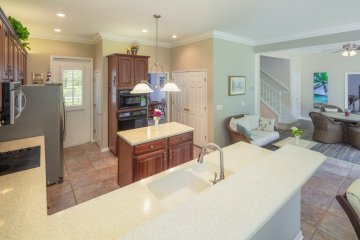 Very open and flexible floor plan. 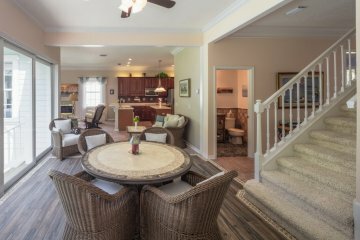 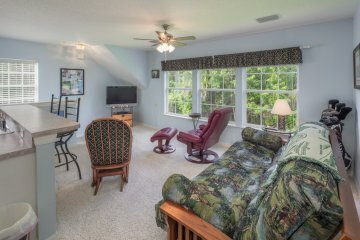 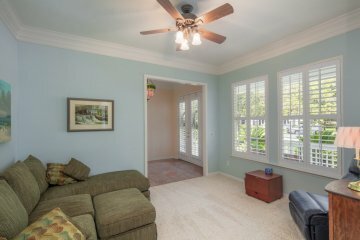 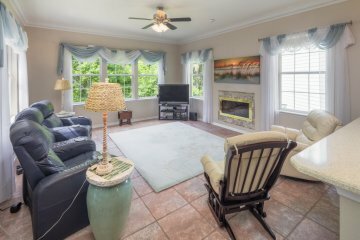 Spacious family room area – great for entertaining family and friends. 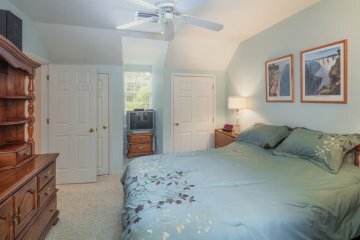 Master bedroom on first floor with newly designed sunroom with sliding impact resistance windows. 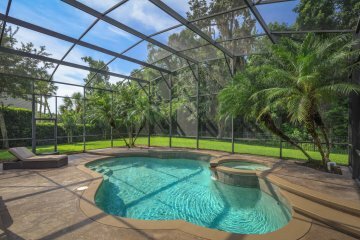 Beautiful views of pool and preserve. 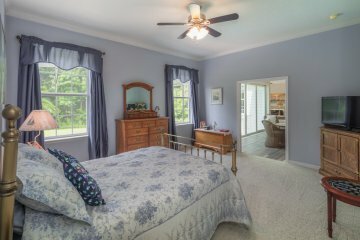 Large Master bedroom with upgraded beautifully designed walk in shower and upgraded Medallion cabinetry. 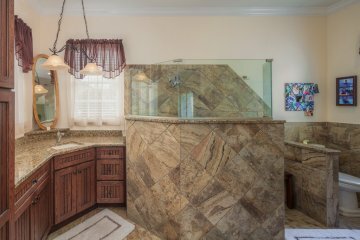 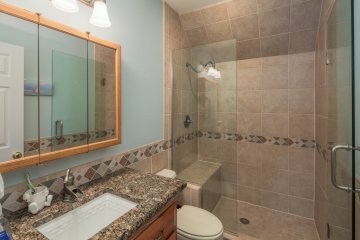 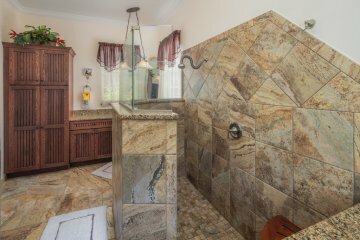 You’ll love the walk in shower and large walk in closet. 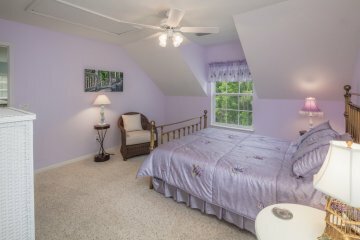 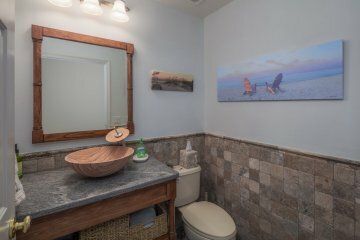 2 secondary rooms upstairs with lovely upgraded bathroom. 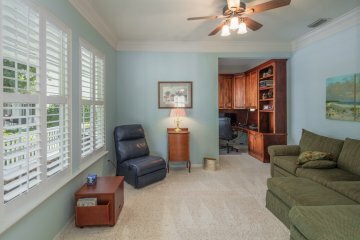 Great closet and storage spaces as well. 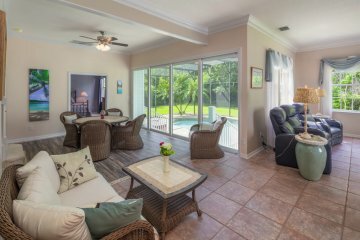 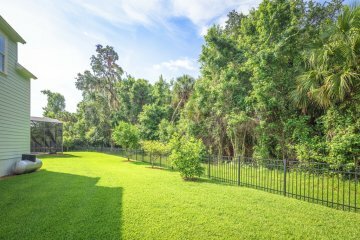 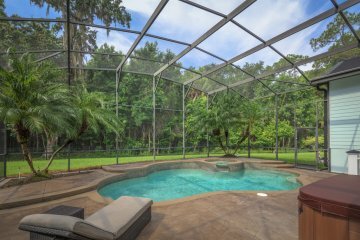 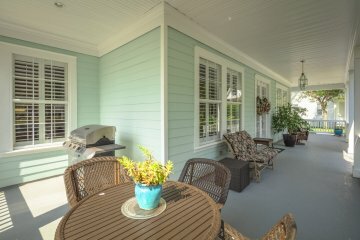 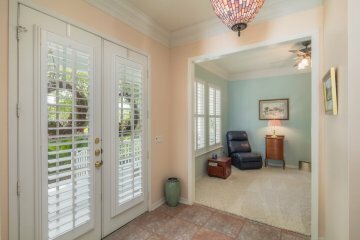 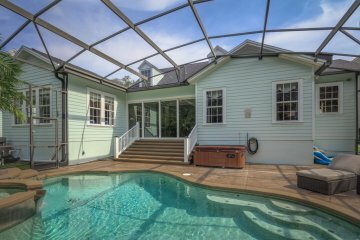 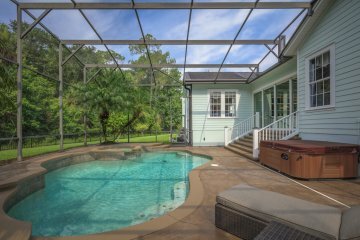 Enjoy your screened in porch with pool and spa overlooking the preserve and expansive grounds. 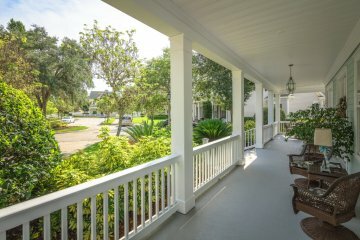 Newly installed Solar powered piping- great green feature. 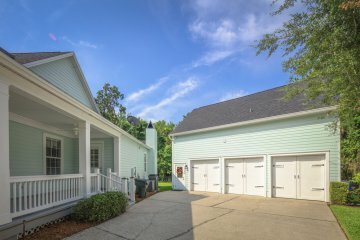 3 car garage with wonderful Garage Apartment- potential rental income!! 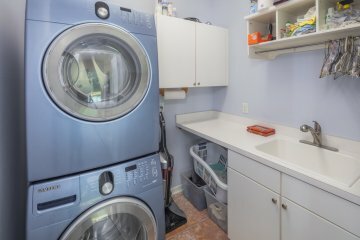 Plenty of storage in garage apt with separate entrance. 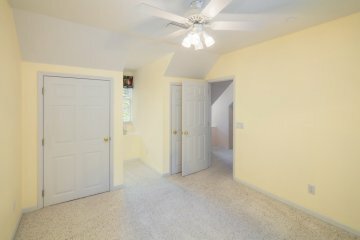 New roof, water heater and 3 new AC's. 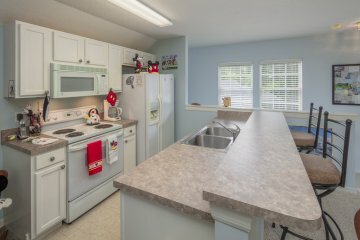 Walking distance to Spring Park and pool, playground and Heritage Hall. 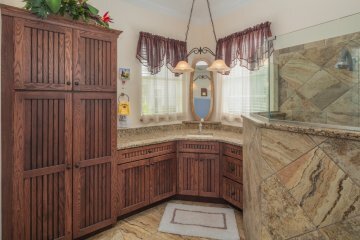 Excellent Craftsmanship and Design! 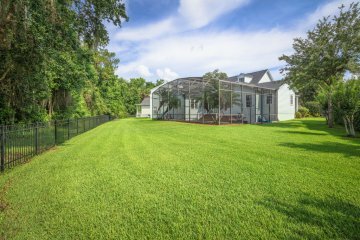 Pristine and Premium Lot. 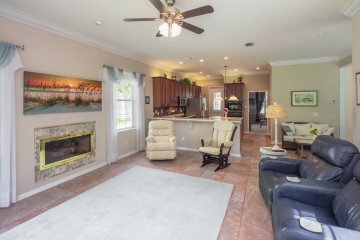 Must see- Won't Last!